It doesn’t matter if you are an experienced railroader or an absolute beginner, don’t be embarrassed to post a question no matter how simple or complex it might be. The best way to learn and progress in the hobby is to ask plenty of questions. 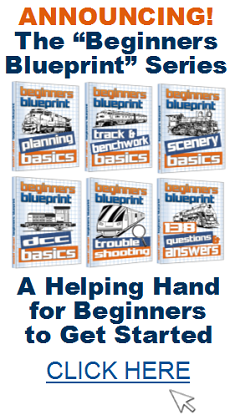 Most model railroaders are more than happy to share their experience and particuarly encourage newcomers to the hobby. We all began with abdolutely no knowledge, so send in your questions if you need help with anything regardless of how simple or unusual your question might be. There are probably plenty of others reading this blog who will want to know the answers too. DCC allows for multiple locos to be run. DC does not. On DC you can run more than one but they all behave the same going the same speed amd stopping at the same time. You can have multiple locos running on DC (Analogue) model railways, but they must be working together (e.g. double-headed) or on separate tracks or sections of track that are electrically isolated from each other. As Mike says: use dcc. Each loco has it own code and can be operated separately. 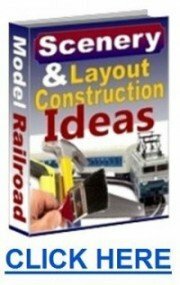 You only need the one dcc controller for your whole layout, so long as the layout is not too big. As Mike says, DCC allows this with no problems at all because the loco has a mini computer/receiver called a “chip” which talks to the controller. 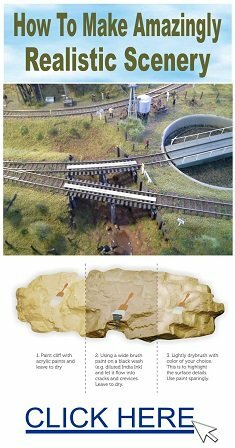 With “good old” DC, you can simulate individual loco control by cutting gaps in your rails and powering each section through lots of switches. This uses a lot of wire and concentration, but is workable. DCC is Digital Command Control. The locomotives receive power from the track, but are controlled by a digital electronic signal that also goes through the track. DCC locomotives have different digital addresses, so that they can be individually controlled by commands addressed to them. This also enables specific control of lighting and sound effects in the loco. Most DCC locos can also be set up to run on a DC layout. Some DCC control systems can be set up to run a DC loco. A DCC module can be fitted to convert a DC loco to DCC. 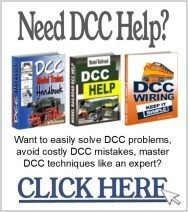 DCC is a more expensive system than plain DC, but layout wiring is simpler, and turnouts etc can also be set from the controller. Most modern DCC locos also have excellent engine and mechanical sound effects, horns, bells, whistles, brake sounds, etc. That DCC thing is not entirely true. I am a DC model railroader and I run multiple trains at one time. 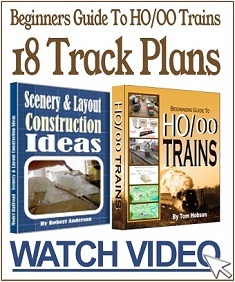 If you block your track, mine is blocked into 6 or 7 different blocks, and use a double track mainline, you can run multiple trains at one time. I have 2 engines that run at the same speed and I can run those on one mainline while I run another train on the other mainline. I have 2 sets of engines that run at the same speed. This is important for running on DC only track.